Your income, expenses, and intentions of surrendering property will determine whether or not you qualify for a chapter 7. In a chapter 7 case you can discharge all general unsecured debts. The bankruptcy automatic stay will stall or “stay” any priority unsecured debts until your case is discharged (generally after 90-120 days). Secured creditors are not allowed to repossess property, without permission from the court, even if you are behind on your payments to them. The Trustee will also examine your property to see if there are any luxurious items he can sell to pay creditors. 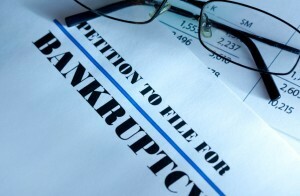 There are other pros and cons to filing a chapter 7 you should discuss with a qualified bankruptcy attorney. If one makes too much money to qualify for a chapter 7 bankruptcy in Kansas City, or they do not want to surrender their property back to secured creditors, they will likely seek a chapter 13 bankruptcy.